One of the most popular home renovation projects is installing hardwood flooring. However, with so many different colors and types of wood available, it can be difficult to make a decision for your project. When you’re looking for quality, durability, and pleasing aesthetic, walnut floors may be the option you’re looking for. There are numerous advantages to using walnut hardwood in your home. Walnut floors are extremely durable. Unlike less sturdy woods, it is safe to mop your walnut hardwood without worrying about warping and rotting. Walnut is also a strong wood, so it resistant to chipping, insects, and other damage. While walnut floors may be more expensive than some other wood choices, the durability of walnut will extend the life of your floors, ultimately adding value to your home. Walnut floors are also quite visually appealing. Walnut can match multiple shades of wood, ranging from dark to light. Walnut also shows off the natural variety in the wood grain, leading to a unique and interesting appearance. Additionally, if you need to adjust the color of your wood, walnut is receptive to staining which makes it an extremely versatile choice. When it comes to hardwood flooring, another benefit of walnut floors is that they are relatively easy to install. However, if you are not experienced, don’t try this as a DIY project. 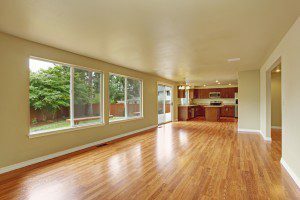 Attempting to install hardwood floors without the proper training and experience can lead to major damage, a delay in your project, and expensive repairs. A flooring expert like CT Floor Supply will be able to do the job right the first time. While there are many different types of wood, the benefits of walnut are unmatched. Walnut hardwood is not only beautiful, but is also solid and long-lasting, making it a valuable asset in any home. The next time you consider adding hardwood floors, consider walnut to make a statement in your home for years to come.